My kitchen is a work in progress, well that’s the way it feels at the moment. It was given a major overhaul about 10 years ago, when we ripped out the old kitchen and installed a brand spanking new one. Since then we’ve changed the colour on the walls and some of the accessories, but the essence of the room has always stayed the same. I’m not completely pleased with it, but keep adding to it and working on it when I can. 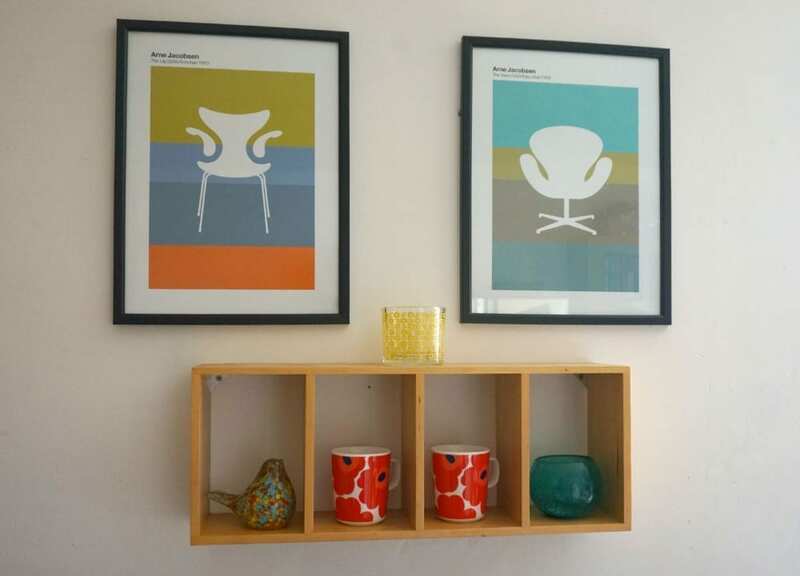 A year or so ago I was given some lovely prints in a very retro, mid-century style so used these as a base for another little makeover on the room. Rummaging around in the loft I found this old cd rack, and turning it on its side, created a little shelving unit underneath the new prints and immediately gave one wall a new lease of life. 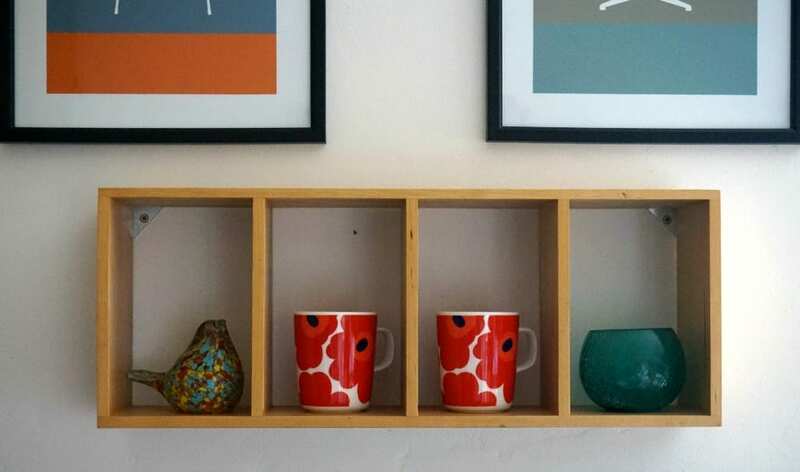 I recently added these fab Marimekko mugs from Houseology to the mix and love the way it looks. This vignette was recently used in a life hacks article for SuperSavvyMe too, which I was pretty pleased about. 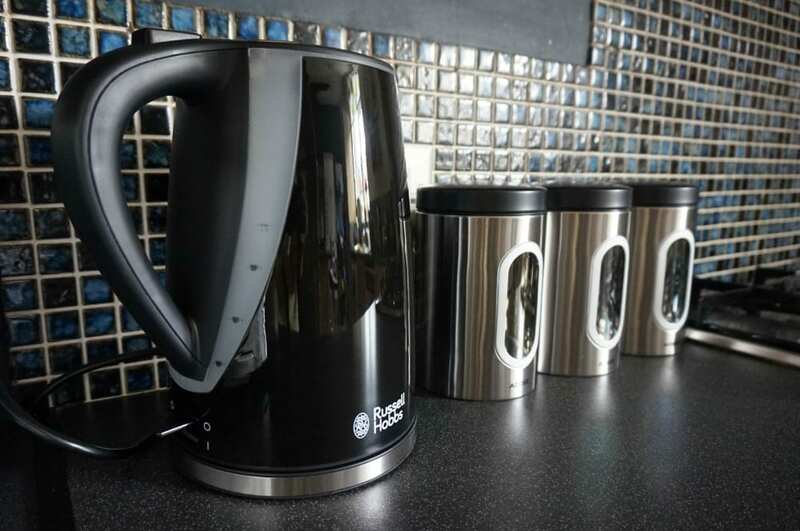 However, it’s the little, practical things that sometimes get overlooked so I was pleased to get a new kettle, toaster and storage canisters from BHS recently. Mine were getting very tired and whilst I was spending time on creating new pockets of colour and interest in the room, I hadn’t given much thought to the practical items that were getting used every day. Once you replace them you realise how much those old items were becoming a nuisance. The kettle was noisy, the toaster kept burning things and the old canisters were broken. I knew BHS was good for lighting and it’s a place I’d always go to for an interesting, high street piece, but I hadn’t realised they sell all kinds of branded electricals like kettles and toasters too. Of course, the sale is on at the time of writing, so I really had some bargains. There’s something so rewarding about making little updates like this. I guess it’s the fact that it’s so immediate. You don’t have to wait around for paint to dry or shelves to be hung, just open the boxes and arrange your new items. I love it! And so does my kitchen. Making breakfast is so much more pleasurable now. The small things really do matter! BHs is amazing for lighting, the best on the High Street, that’s for sure. I didn’t realise they did kettles too. Everything is so well priced in BHS as well.